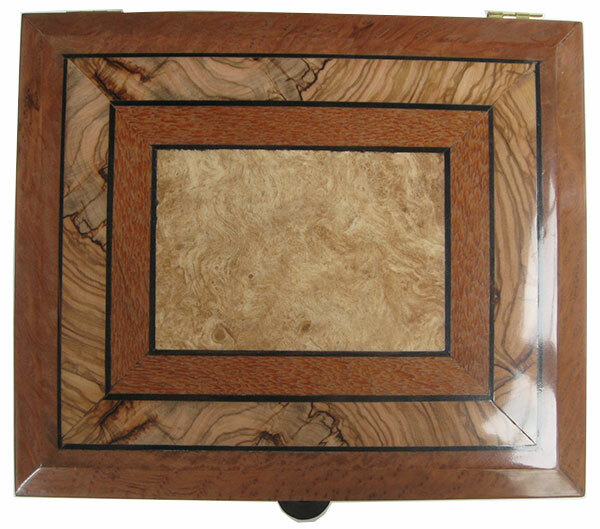 This bevel-top box is made with an unusual bird's eye redwood burl. 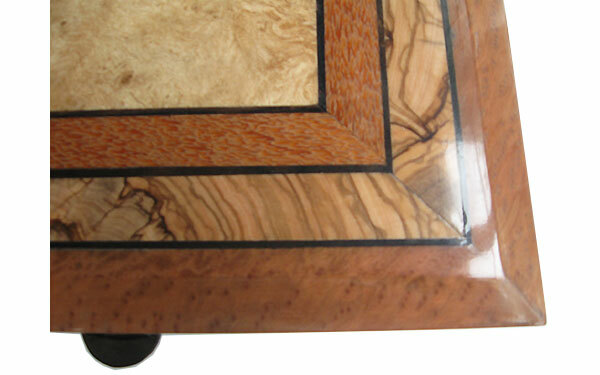 It's rare enough to find bird's eye in redwood, but to see it in a burl is almost unheard of. 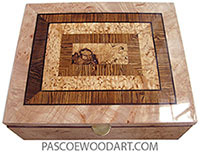 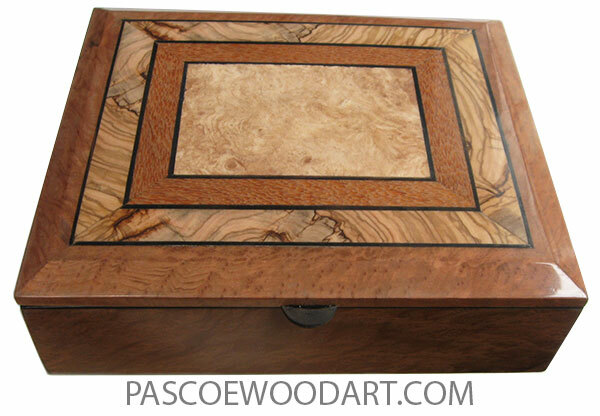 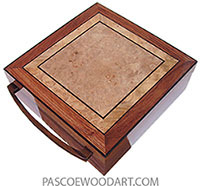 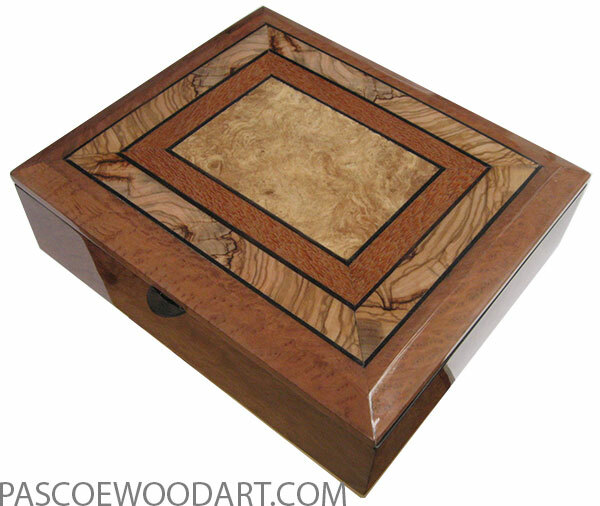 Top is a mosaic of Mediterranean olive, lacewood, ebony and maple burl. 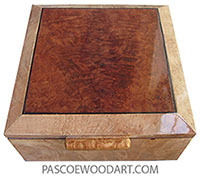 Last updated January 20, 2019. 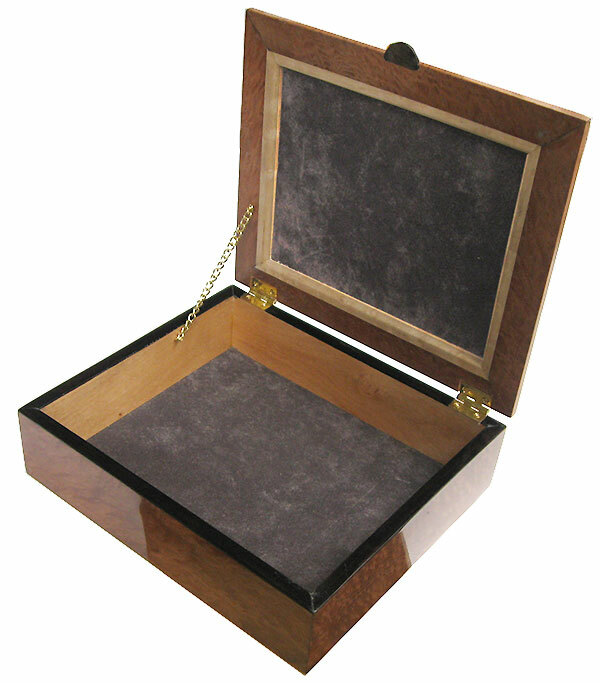 Posted March 30, 2018.